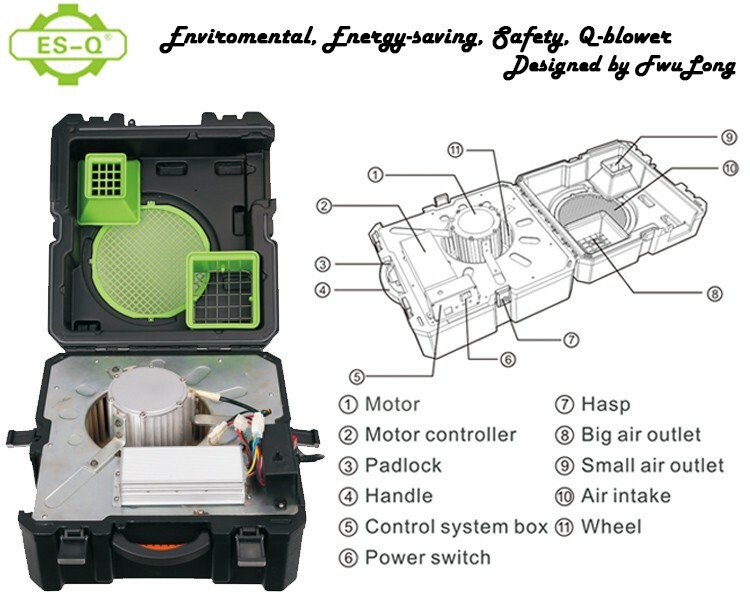 1.The air blower is environmental, safety and energy saving. 2. "Tool box" design makes it easy for packaging and transportation. 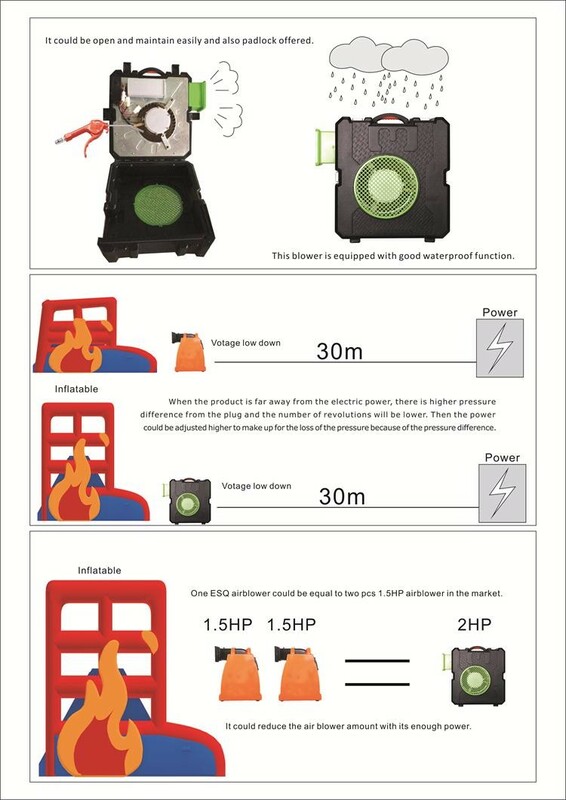 3.Our blower is perfect for different inflatable products owe to its 2 specifications of the air outlet (big and small). 4. It is easy to replace spare parts. 6. 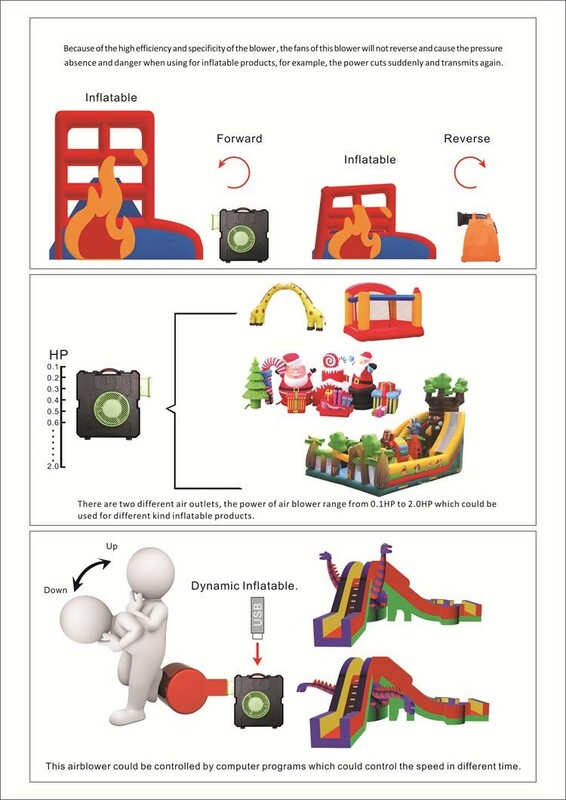 The power of air blower ranges from 0.1 HP to 3.0 HP that it could be used for different inflatable products. 7. It works well in low voltage. 8. 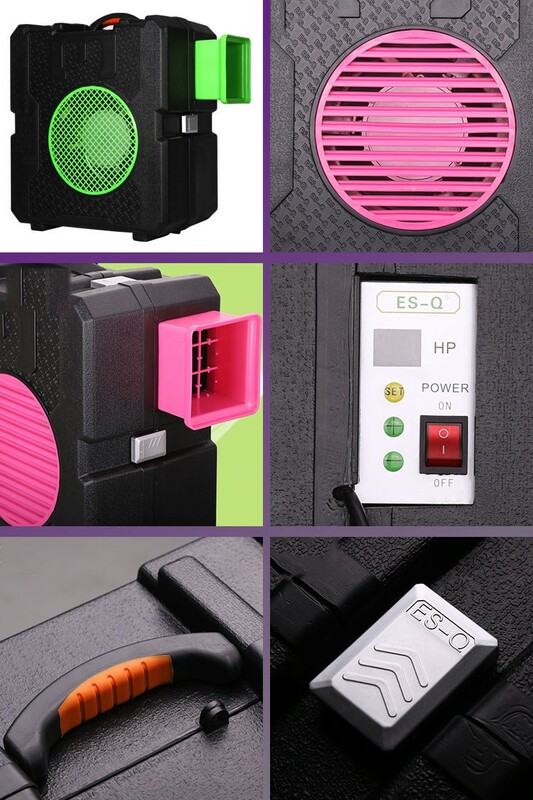 The air blower has low starting current and running current that it could afford household electricity supply and reduce the costs of wiring. 9. 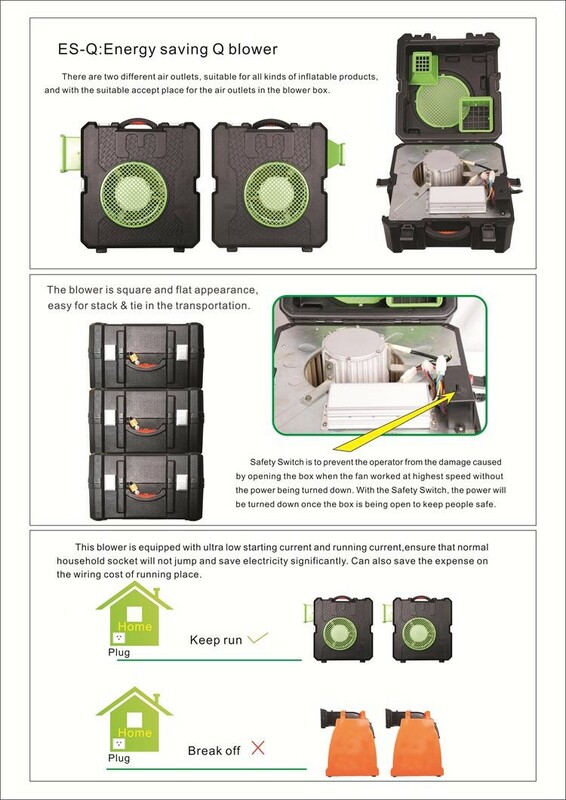 Blower reverse could be avoided when the power is cut suddenly and transmits again owe to its intelligent design. 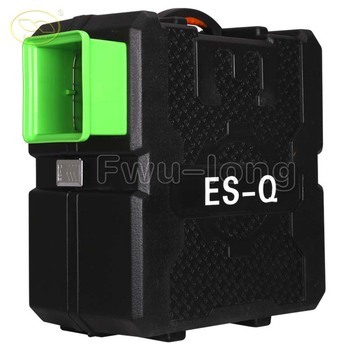 10.Safety switch is designed to prevent the operator from the damage caused by opening the box when the fan works at high speed without the power being turned down. Our air blower is designed for inflatable products, also the other use. Creating maximum value and providing better service is our pursuit. 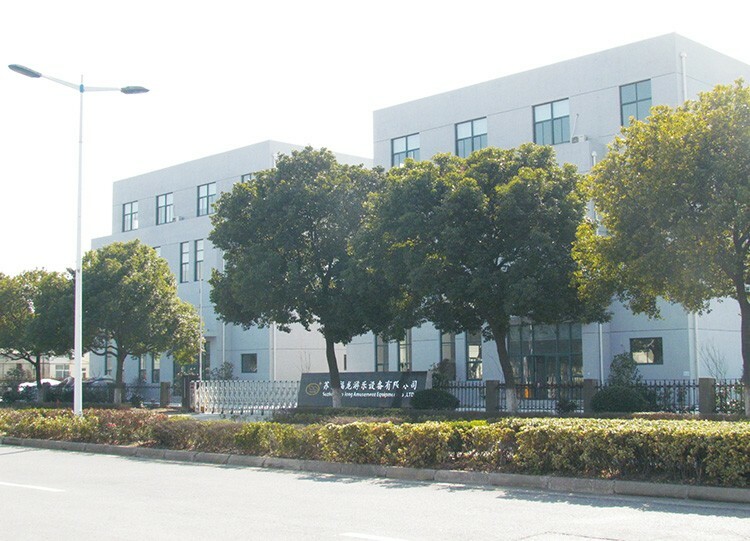 Suzhou Fwu-Long Co.,Ltd is a professional company that has years of experience in design, manufacture, sale, service of amusement equipment. Continuously innovating based on customer needs to enhance experiences and create maximum value for them.Land & Water amusement equipment, Inflatable series are used in many countries and regions.Working closely with partners, we endeavor to make our products more stable and safety, and spark infinite opportunities and potential for everyone everywhere. Our company is located in Suzhou Industry Park where has convenient transportation and beautiful scene. We have a number of invention patents, product appearance design patent and the patent for utility model, Certified by ASTM,CE, and TUV in 2007.High quality and advanced technology lay the brand Fwu-Long . If you are interested in our products, please feel free to contact us now ! Getting more information and related product, click here. Looking forward to make business with you !